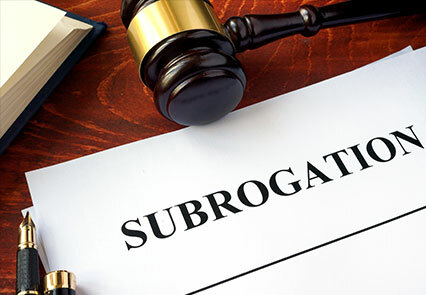 Our attorneys have handled subrogation and collection matters, diligently representing insurers in recovering money/funds from negligent parties when the insurer has paid out for uninsured motorists, property damage, or product defects. We have more than 60 years of combined experience representing insurance carriers and their insureds in California. Defense of insureds, for a flat fee, on Cross-Complaints. We defend the insureds of various carriers in areas of law from property line disputes, complex construction defect cases, and general civil litigation, including personal injury, products liability, contracts, defamation, assault and battery.